It’s a Big Deal to be a Writer. . .
As writers, we have a unique opportunity to make a difference in society. Whether writing fiction or non-fiction, books or articles, or for newspapers, magazines, or websites, we have the privilege of being an influence that many do not have. Every person is an influence to someone, whether they know it or not. People watch what others do and say, and whether or not you are aware of it, what YOU do and say is being noticed by someone in your life. All the more so if you are a writer; and once you are published that influence increases, often many times over. History records many instances where writers have played influential roles in society, often being tasked with presenting ideas or stating opinions, but also in simply writing from their heart and spilling over onto others their passion for a particular thing or idea. 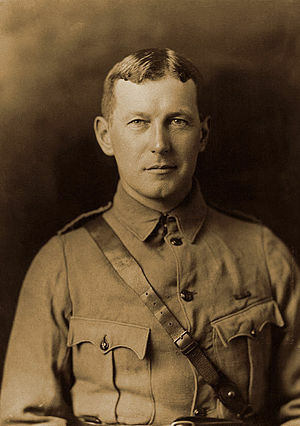 For example, Lt. Col John McCrae, a Canadian soldier in the 1st World War, wrote a poem in 1915 called “In Flanders Fields” inspired by his service during the second battle of Ypres. This poem eventually resulted in a second poem written in 1918 by an American professor named Moina Michael. Michael was inspired by McCrae’s poem to write an answer, so to speak, in the form of another poem entitled, “We Shall Keep the Faith.” She distributed silk poppies to her peers to wear in recognition of the service of soldiers everywhere. She then campaigned to have the use of poppies adopted by the American Legion as the official symbol of remembrance which eventually led to the paper poppies we see everywhere today across the United States during the month of May. They are worn all month long leading up to Memorial Day on May 31 celebrating and commemorating the service of our many soldiers, sailors, airmen, marines, and coast guard servicemen and women who served and/or died in the line of duty. Madame E. Guerin attended the 1920 convention where the Legion supported Michael’s proposal and was herself inspired to sell poppies in her native France to raise money for the war’s orphans. So you see how one man, in one afternoon, influenced society on two continents. These two poems were a public conversation, if you will, observed by many and acted upon. Influential? That’s an understatement if ever I heard one. McCrae probably never would have guessed that his poem would eventually have such an enduring impact on an entire country, a country not even his own, simply by the penning of his thoughts in the moment. His own country, Canada, later adopted this tradition also. This poem almost didn’t make it off the battlefield. Had it not been for a fellow-soldier who saw McCrae writing it and later commented that it so vividly painted a picture of the scene before them that he committed it to memory immediately, we may have never even heard this classic jewel. Many other instances like this can be seen in the written history of America and other nations. From the federalist papers to Mein Kampf, they demonstrate the role and influence writers can have on society. Not only in political arenas is writing necessary, but in many other areas of life as well. In matters of art, music, science, mathematics, religion, social consciousness, diet and health – the list goes on and on – writing what we think, what we know, and what we wish we knew are valuable pursuits; even INvaluable. Writing is a noble endeavor. As writers, we have a responsibility to write the truth. Whether we are recording history or creating fictional works, truth must always prevail. We dig deep and find the gem; we polish it, smooth it, and present it wholly complete in all its radiant beauty. This is what is meant by truth prevailing. Even in works of fiction, clean story lines and plots eliminate confusion and keep the reader on track with the story. Readers know when characters are not “real”. When they do things that are “out of character” and no explanation is given, then the reader may lose interest and not turn the page; or worse, no longer trust the author to be genuine. Often as writers, we are guilty of losing sight of the fact that our profession DOES matter. We are often too hard on ourselves and begin to think we are simply writing for therapeutic reasons, mind-dumping or simply having fun. Though all of these may be true at any given time, what we write does have value, even if realized much later, and we can find satisfaction in that. How many times have you read a book that was written 50 years ago and found great value in it? It has been said that if you learn ONE THING from a book you read, it was worth the price of the book. Let us always remember that we can contribute to society through our writing.